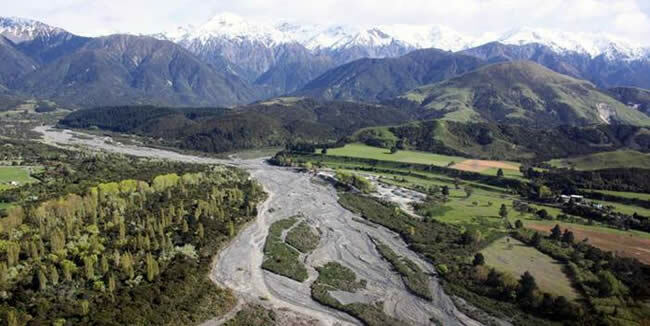 We are seeking a PhD student to join an investigation focused on measurement and modelling of sediment transfer in braided river systems impacted by the 2016 Kaik?ura earthquake, on New Zealand's South Island. The project will be based at the University of Auckland's School of Environment (Dr. Jon Tunnicliffe), with close collaborations at Victoria University of Wellington (Dr. Jamie Howarth), GNS Science (Dr. Phaedra Upton) and Rennes University, France (Dr. Dimitri Lague). This is a unique opportunity to study major changes in mountain river valleys driven by landslide dynamics, using state-of-the-art techniques. Scholarship funding is in the form of a 3-year scholarship with a minimum stipend of $25k NZD per year and payment of (domestic or international) student fees. In addition to modelling work, the candidate will carry out field work, including sedimentology studies, flow gauging, and bathymetric surveys. Modelling work will entail numerical simulation of flows using a multi-epoch dataset of airborne LiDAR, SfM and field survey datasets. The candidate will have a First Class Honours or Masters' degree in Physical Geography, Earth Science, Civil Engineering or related discipline. Students should have skillsets in one or more of the following: 1D/2D river modelling techniques; Matlab/Python/C++ and data handling; remote sensing (e.g. photogrammetry, lidar processing, InSAR); surveying and GPS time-series analysis; river monitoring and hydraulic analyses; GIS and spatial/statistical data analysis; and sediment budget analysis. Suitably-qualified applicants should submit a cover letter, detailed C.V., and academic transcript to Dr Jon Tunnicliffe (j.tunnicliffe@auckland.ac.nz) by May 31st, 2019. Names and contact information of two referees. The application process will require that the referees write references and complete a form assessing the candidate's abilities. (Details can be found on the University of Auckland website).